The “Auction Marketing Campaign of the Year” was awarded to Steve Bruere, of Peoples Co., in Clive, Iowa, for his company's “Weidert Property” marketing campaign. The effort magnificently executed and highlighted the company's vision and full process for pooling experts and marketing tools to uniquely brand the property and its highest-potential areas. Toni Benysh, of Halderman Farm Management & Real Estate Services, Wabash, Ind., won “Best in Show – Advertising & PR: Digital/Social” for the halderman.com website. Justin Conway, CAI, of Paul McInnis, Inc., North Hampton, N.H., received “Best in Show – Advertising & PR: Print” for his “2017 Company Brochure” submission. This year's “Best in Show – Photography” winner was Josh D. Levine, CAI, ATS, of J. Levine Auction & Appraisal, LLC, Scottsdale, Ariz., for “The Duel. All award recipients in the 2018 contest will be formally recognized during the NAA Marketing Competition Awards Reception in Jacksonville, Fla., at the 69th International Auctioneers Conference and Show, July 17-21. Recipients will be presented with their awards at that time. The competition featured 56 sub-categories in seven categories across three divisions. Categories included but weren't limited to: Postcards, Brochures & Catalogs; Newspaper/Magazine Print Advertising; Public Relations & Marketing; Photography; and Digital & Social Media. The task of determining winners was given to a panel of marketing and advertising professionals who represent backgrounds in branding, promotion, media, public relations and graphic design. Judging criteria includes but isn't limited to considerations such as creativity, message, ad effectiveness, clarity and visual appeal..
About Jeff Martin Auctioneers, Inc.
Jeff Martin Auctioneers, Inc. is here to fully service all your auction needs. No auction is too big or too small for us to handle! Our corporate headquarters is located in Brooklyn, Miss., 20 miles south of Hattiesburg, 45 miles north of Gulfport along Hwy. 49. This permanent 22-acre auction site, with an all-weather climate controlled auction arena, is where Jeff Martin Auctioneers, Inc. holds several auctions throughout the year. We also host numerous auctions at customer sites throughout the US. Jeff Martin Auctioneers, Inc. even offers online bidding for most of our auctions. This allows you to participate in our auctions from anywhere around the world. The National Auctioneers Association represents thousands of Auctioneers from the U.S. and across the world. The NAA's mission is to provide critical resources to auction professionals that will enhance their skills and successes. The NAA is headquartered in Overland Park, Kan. and was founded in 1949. 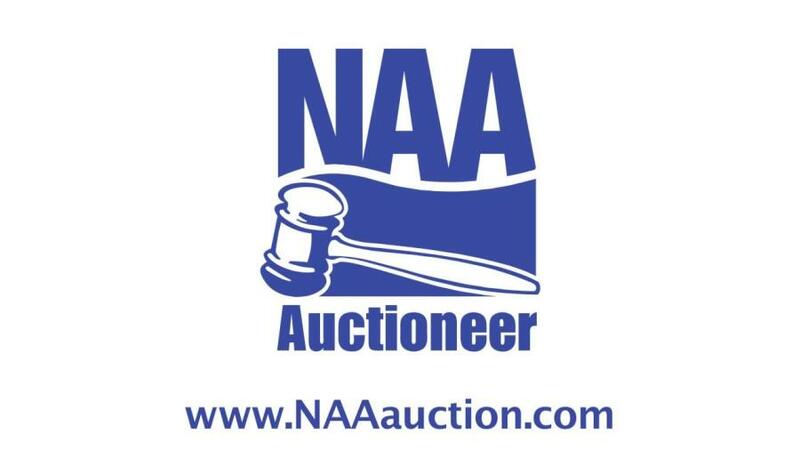 To learn more about the auction method of marketing or find an auction or NAA auction professional, please visit www.auctioneers.org.